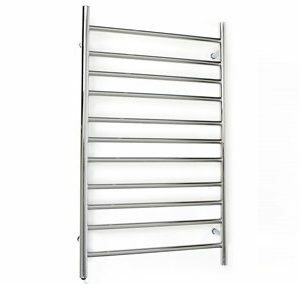 The Allegra 19 Bar Heated Towel Rail holds your towels, keeping them warm and ready for your next bath or shower. All while looking sleek and stylish. The high quality polished stainless steel finish, means that the Linsol Allegra 19 Bar Heated Towel Rail blends well with most bathroom interiors.Showcasing an IP55 rating allows the Allegra Heated Towel Rail, is protected against harmful dust deposits and drizzles of water. 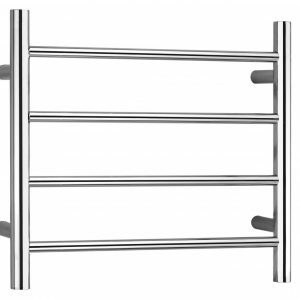 Keeping your bathroom tidy, the Allegra 19 Bar Heated Towel Rail has the option to be installed with its wires hidden. Alternatively, a DIY plug in option is included in the box. Additionally, this Heated Towel Rail is compatible with most timers. 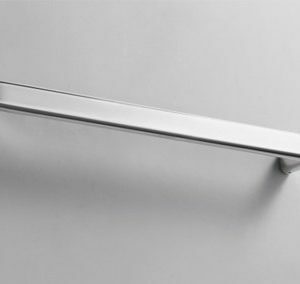 Regularly cleaning your Allegra 19 Bar Heated Towel Rail will keep it gleaming for years. Then, using a soft cotton cloth, submerge in mixture and wring out, so the cloth is damp. 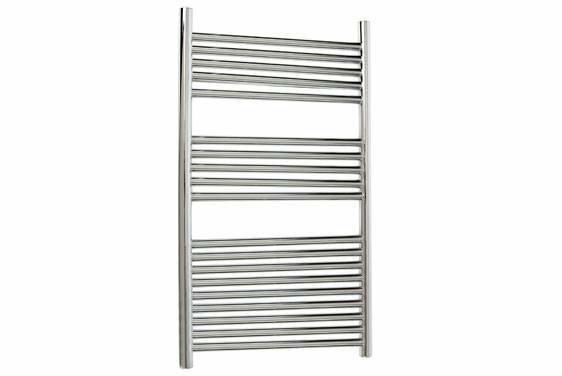 Follow by wiping down all Stainless Steel parts of your heated towel rail.